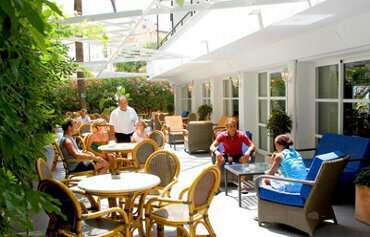 The Piscis Hotel is a whitewashed contemporary number at the heart of the resort of Alcudia. This facility-packed 3 star hotel boasts a stunning location close to the beach and the lively port area. The sunny pool area is the star attraction. The large swimming pool is lined with a solarium, perfect for lazy days topping up your tan. The children are in for a splashing time too with their own pool. On dry land, the little ones are in for fun in the playground and games room. The grown-ups can join in with the pool games, table tennis and pool. On top of all this, the onsite eateries take care of mealtimes. The main restaurant is a buffet style affair, serving up a great choice of tasty dishes and mouth-watering desserts. No need to wander too far for refreshments poolside, the bar provides drinks and snacks directly to your sunbed. When the sun goes down, the hotel really come alive. The evening fun on stage includes live music, professional shows and cabaret acts. Discover why the Piscis Hotel is one of the most popular Alcudia hotels. 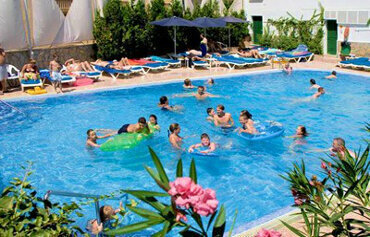 The Piscis Hotel has all the facilities you would expect from 3 star hotels in Alcudia. Highlights include: Two outdoor swimming pools, solarium, kids pool, pool games, buffet restaurant, lounge bar, internet centre, games room, high-speed wireless connection throughout the hotel, 24 hour reception with currency exchange and laundry service, daytime activity programme, games room, table tennis and pool table. 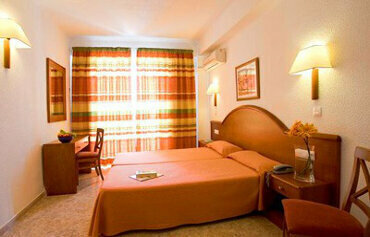 The hotel has 206 Mediterranean style guest rooms, consisting of single and double rooms. All rooms have air conditioning, complete bathroom, twin beds, safe for rent, telephone and a furnished terrace with pool or mountain views. Rooms specially adapted for disabled use are available on request. The buffet restaurant serves a good choice of dishes for breakfast, lunch and dinner. The Lounge Bar comes with couches and satellite TV and offers a drinks and snacks service to the pool, solarium and lounge terrace. Evening entertain brings live music, cabaret and professional shows to the hotel. The Piscis Hotel is located in the heart of Puerto de Alcudia, only 150m from the beach and the lively port area and 1.8kms to the Hydropark water park. 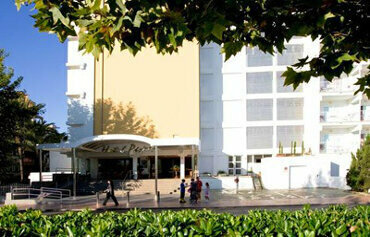 The hotel is approximately 45kms from Palma Airport.